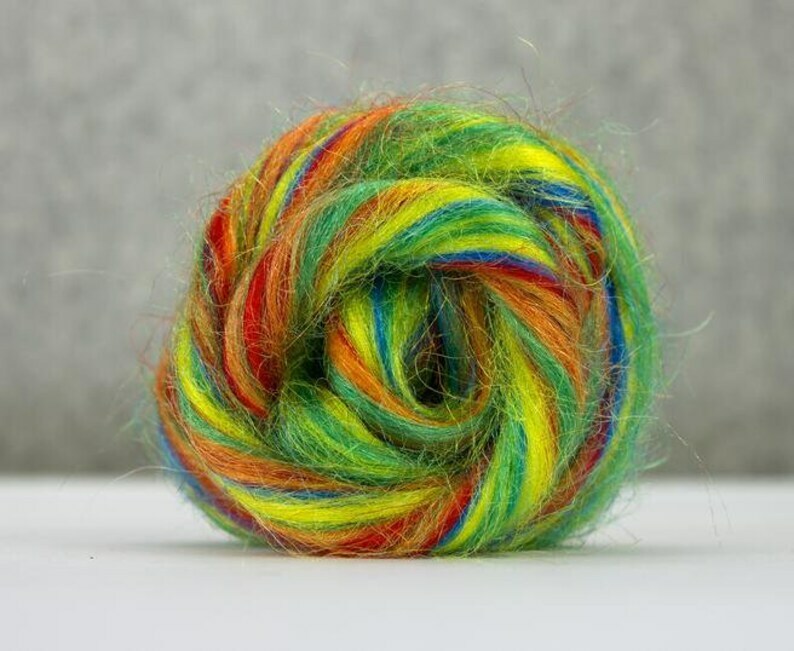 This is a Rainbow Nylon Fiber with lots of sparkle blending in. Nylon is a product made by humans. This can be blending into your wool fibers for a glitzy affect. PAYMENT; I PREFER TO BE PAID VIA PAYPAL IF YOU CAN.